Bethany Church in York: THE CHALLENGE IS ON . . . THE CHALLENGE IS ON . . .
"Pound the Pastor" is in full swing at Bethany. The challenge for the church family is to collect 500 pounds of canned food for The Well. The challenge began April 6 and ends Sunday, May 3. 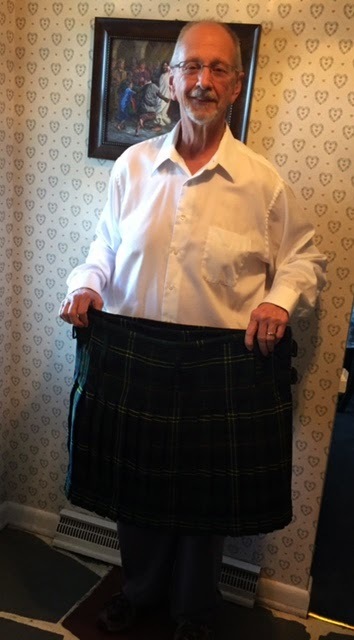 Pastor Dennis says he will wear a kilt for worship one Sunday in May providing the church family reaches the goal of 500 pounds. Together we can help feed those who are hungry in our community. The question remains, WILL HE WEAR A KILT?